Gnocchi is a potato pasta, similar to a dumpling. You can find gnocchi at the grocery, usually with the pasta. It is a great way to add something new to the table! I always look for the whole wheat gnocchi made with sweet potatoes. It has little to no sugar and a good amount of protein. There are lots of great ways to prepare gnocchi. 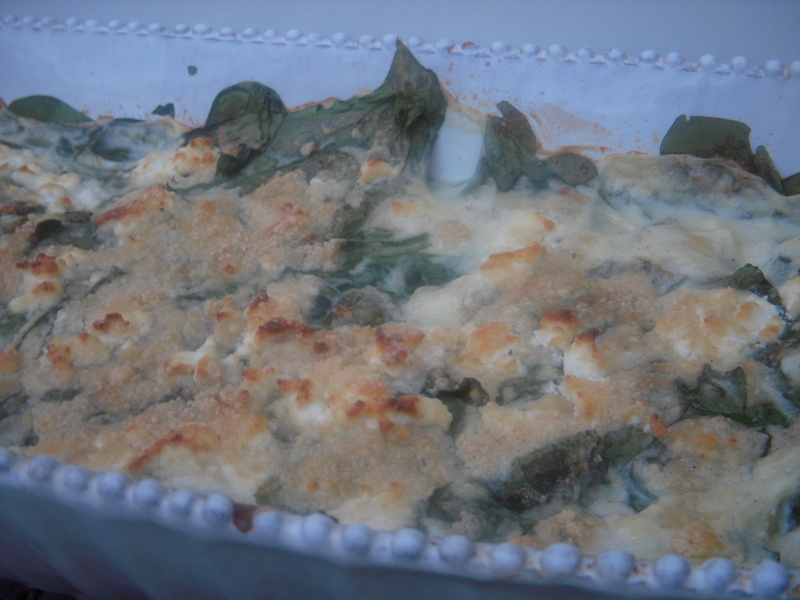 I love this recipe because I love creamy spinach too! The following recipe feeds 4-6 and can easily be doubled. Place gnocchi in lightly greased 8×10 or 9×13 inch baking dish. 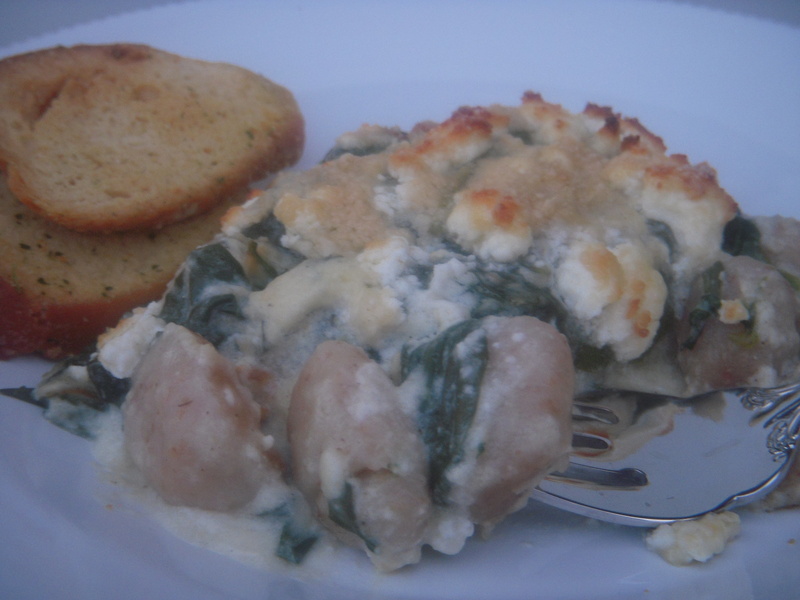 (I like to cut some of the gnocchi in half to make some smaller pieces) Pour bag of spinach over the gnochhi. In a saucepan over medium heat, whisk together the half and half, chicken broth, flour, salt and pepper. Whisk until heated through and smooth. Pour mixture over spinach. Crumble the goat cheese and sprinkle evenly over top. Sprinkle parmesan cheese on top. Bake at 400 until cheese is golden and bubbly. Let cool for a few minutes then its ready to serve.